Modern fashion is a multi-trillion-dollar industry in which the competition is fierce and change is the only constant. Style trends and customer habits are constantly evolving, and keeping up with the market has always been a challenge. Today the pace of fashion is faster than ever, and the industry is moving toward a variety of new business models to keep up with changes in the way consumers experience fashion. 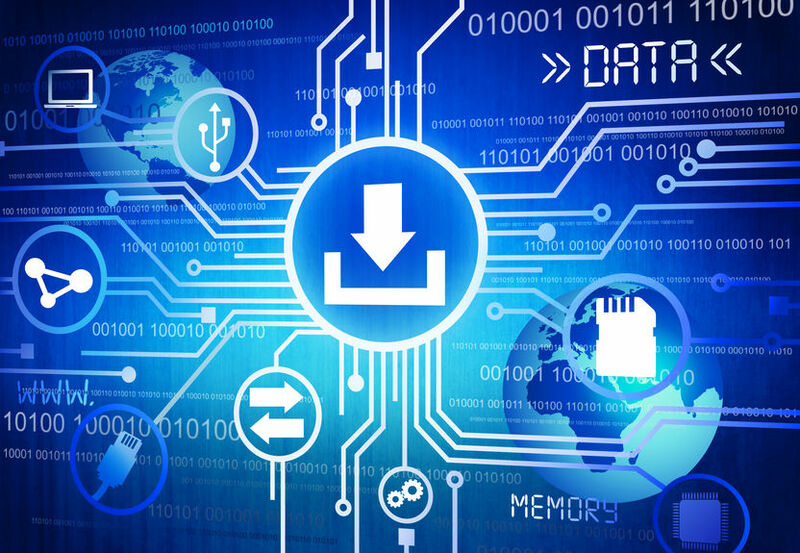 One of the biggest changes concerns the way that companies use data to drive their design and manufacturing operations. A recent report from McKinsey & Co. labeled 2019 a “year of awakening” for the fashion industry, as companies find new ways to predict trends, increase productivity, and get products to market faster. Specifically, the third annual State of Fashion report noted that brands are increasingly practicing “self-disruption” by leveraging data analytics and automation. Nearly 80% of fashion executives surveyed by McKinsey called self-disruption one of the top five trends affecting the industry. What Does Big Data Mean in the Fashion Industry? The phrase “big data” is extremely broad, encompassing an industry that is already worth more than $20 billion and forecast to exceed $100 billion by 2022. A separate analysis predicts a market value of more than $200 billion. In any case, it’s clear that big data is already a big business. In the fashion world, this term typically refers to a company’s accumulated knowledge of how products move at every stage of the cycle from the drawing board to the point of sale. If all of this data is organized in a usable form, brands can leverage that information to make faster and more accurate decisions, create better products, and get to market in time to keep up with fast-changing fashion trends. Historically, companies have relied almost entirely on gut instincts. They had some data about shopping trends and what people were buying. There were magazine covers, fashion shows, and other cues from influencers and industry stakeholders. In the last few years, social media and fashion blogs have provided more direct insight into what styles and items consumers currently “like.” But these were really isolated data points and it was difficult to produce actionable information. It has always been hard to get a cohesive picture of how all the likes, shares, and sales interacted with the back-end issues of design, cost, and manufacturability. That’s what big data provides: a comprehensive, big-picture view of everything that matters when you need to make big decisions about what theme to use your company’s spring collection, or how to allocate production cost-effectively across a global network of factories. Fashion has always been an art. Big data doesn’t change that—it elevates the art with a little bit of science. 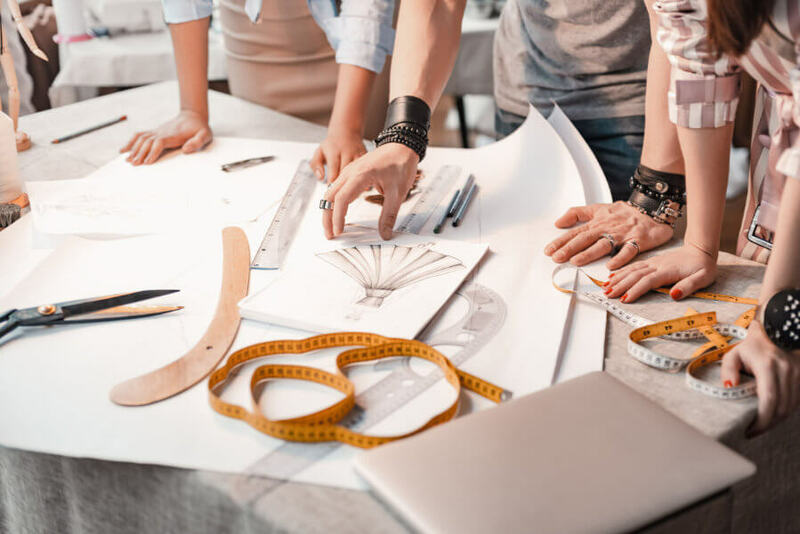 Data-driven fashion means being able to validate your gut feeling about what style is going to be hot in the coming season, or develop a specific business plan to maximize the value of an exciting new product. When you have the science of big data backing up your decisions, you can take advantage of opportunities faster and avoid pitfalls like wasted designs, markdowns, unsold products, or poor margins. One of the most important uses of big data in the fashion industry is to get an accurate, unbiased view of trends in the market. You need to know what type of styles, colors, and specific items are actually in demand. But tastes and trends vary considerably between geographic regions and demographic groups. To target your audience correctly, you need to be able to slice and dice the data from different sources to form the picture that is most relevant to the decisions at hand. When you look at the production and manufacturing side, you need to be able to correlate all of your inventory, sales, and production plans with the demand you’re predicting. Specifically, you need to know what you have in stock, what you’re planning to produce, and how those volumes match up against anticipated demand. If a product or style is on its way out, you need to know as soon as possible so you can taper or halt your production at the right time to avoid building up unsellable inventory. On the other hand, if a particular line or item is hotter than ever, it may be a good time to increase production so you can capitalize on the investment you’ve already made in designing and marketing those goods. Finally, you need to extend your visibility into the shop floor to see in real time how you’re performing against your strategic plan. When you have more information about what’s happening in the production environment, you can identify opportunities to gain efficiencies or seize new opportunities that may not have been part of your original plan. Imagine having the same view of your factories as an air traffic control tower looking out over an airport’s runways. You can see everything as it’s coming and going, enabling you to identify problems before they happen and proactively address any issues rather than reacting after the fact. All of this visibility gives you the flexibility to turn on a dime, which is critical in today’s omni-channel retail market. Consumers are unquestionably driving the marketplace right now, and companies don’t have the luxuries of long lead times and supply-driven style trends as they did in the past. Big data can help you keep up with the speed of fashion and hit elusive market opportunities at the right time. One of our clients started as a woodworking company 90 years ago, and over the years they’ve pivoted from one market to another and remained successful. Today the company manufactures a variety of custom products, such as the custom pillowcases and decorative items with personalized with a family name or a photo of the children or a beloved pet, that have become so popular with consumers recently. This company is a 24/7 operation and it is completely vertically integrated. They take in the order, do the design, manufacture the product, and handle the packaging and shipping from their own warehouse. When you have a 24/7 operation where you are personally responsible for all the moving parts, you cannot have any mistakes, so the ability for this client to process their orders and see production progress in real time is extremely valuable. All of their data is integrated in a single system that automatically updates and calls attention to anything that threatens delivery timelines. In the past, this level of visibility was impossible, and stressful situations were very common. During the year prior to Exenta’s implementation, they had employees who were working 20-hour days during their busy holiday season. Employees were at a breaking point. They couldn’t spend time with their families, they were getting burned out and worrying about their health. People were saying they would have to quit if nothing changed. After Exenta implemented our solution suite, we saw a huge impact not only in terms of the company’s bottom line, but also in employee satisfaction and happiness. We were getting a lot of positive emails from employees saying, “It’s 4:30 in the afternoon and I’m home. Last year at this time, I didn’t get home until 2:00 in the morning.” Putting people first is a key value for Exenta, so it was a real moment of pride for us to know that our solutions were helping everyone in the company perform better and improve their overall situation. Another great success story we heard from of our customers involved a company importing third-party data into the system and generating reports to accelerate their design planning. In today’s fashion world trends can grow in popularity very rapidly, and designers need to be able to respond just as quickly. By integrating sales data in our system, this client was able to create new design plans approximately three times faster than before. This enables them to keep up with the latest styles and get products to market faster than ever. More than 40% of fashion executives surveyed by McKinsey said conditions are becoming more challenging for the industry as the global economy slows down. However, fashion businesses continue to have massive growth potential as the economy becomes more consumer-centric. Taking advantage of that potential will require a mix of old-school art and modern data science. Exenta is a forward looking company. Like our customers, we are always trying to figure out the next turn in the road so we can proactively move in that direction rather than letting the market get ahead of us. We offer the only state of the art, end to end solution for the fashion industry. Our ERP, PLM REVO, and Shop Floor Control are all best of breed systems that can be implemented separately or as a completely integrated workflow solution. We also realize that, just as fashion is getting faster, data is getting bigger. Looking ahead, our goals include leveraging AI, machine learning, and predictive analytics with an ever-increasing volume of data to help our customers automate more tasks, increase labor efficiency and productivity, and run their business better.